The 2015 season started with two great meets in one week. On Tuesday, September 8, the Matadors raced at Oak Hill park and toppled the Eliminator Hill. For the majority of our athletes this was their first cross country race ever. In their first high school race, five freshmen girls broke into the top 25 all-time list despite the extreme temperature persisting at 97 degrees for the last race of the day. 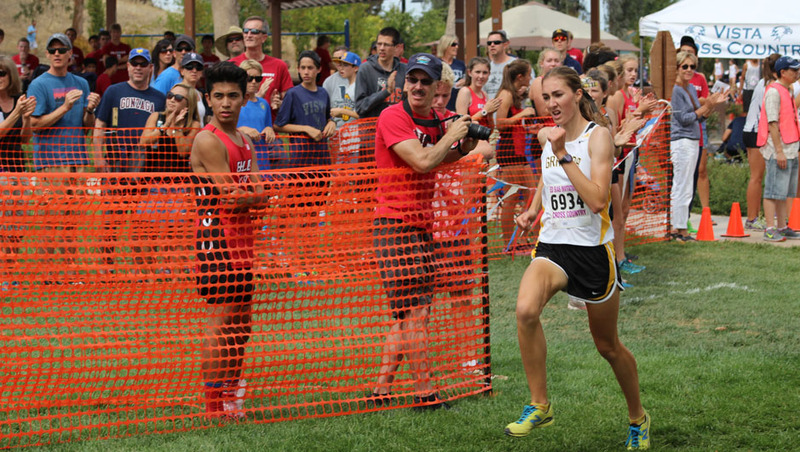 You can view that list but clicking here for Monte Vista Invite Granada Top 25. Although the meet does not officially do team scoring, in the unofficial combined results the girls team 3rd as an overall program. You can visit those results here at Cross Country Express. On the boys side four boys made the top 25 list for the Monte Vista Invitational. In unofficial team scoring the freshmen boys won their race, the sophomore boys were 2nd, and the junior boys were 3rd. Overall team standings placed the boys at 4th. Positive results continued on into Saturday for the Ed Sias Invitational at Hidden Valley Park in Martinez. The FS Boys team of Christopher Kilday, Tyler Hattori, Cameron Meier, Kinaar Desai, Matthew Reddick, Caleb Hardesty, and Andrew Walker finished in 3rd place against strong competition. The varsity boys placed 9th in the large school division behind Leo Skellenger’s 10:47 performance. You can find official results linked for ESI. The girls team once again had five girls make the top 25 list. As a result, the girls placed 2nd behind the number 1 rated team in the state for division two. The story of the day was the Megan McCandless’ course record run as she matched the previous best set 19 years ago. As a result, she was named athlete of the week by the Bay Area News Group. Tomorrow we race against some of the top competition in the state at the DLS-CAR Nike Invitational at Newhall Park in Concord.